If sunbeams the forest in a brilliant light changes, the distant view of the Bayrischer Wald mountains or the longest treetop trail of the world almost takes the breath away. Pure nature, in the Bavarian Forest National Park can develop according to their own principles into a unique wilderness. Take off, experience and enjoy a scenic flight over for example, Freyung-Grafenau oder Passau. Discover the sights of the beautiful Lower Bavaria. The route is dependent on the weather and of course aviation safety, otherwise the pilot attempts to fulfill your wishes in compliance with the flight time. 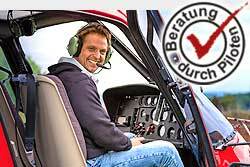 By booking the whole helicopter the route can be discussed with the pilot on the spot.